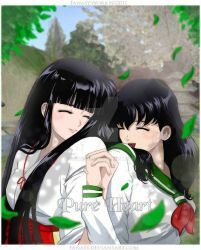 We're a group for fans of the yuri InuYasha pairing Kikyo/Kagome Higurashi. The Kikyo x Kagome Group!! !